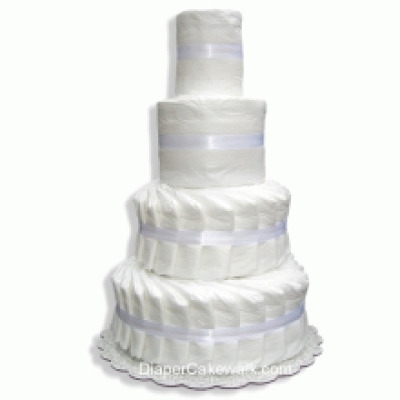 een wondering how to make a diaper cake? 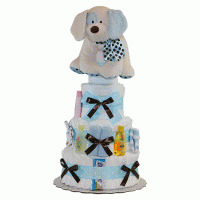 Want to make a diaper cake to match your baby shower theme? 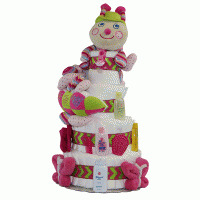 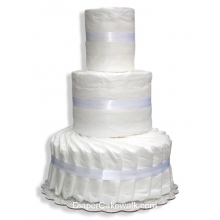 Let us help you make the perfect diaper cake - forget about making a diaper cake from scratch. 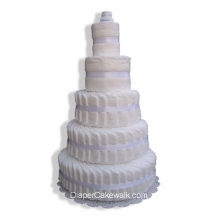 Put away those diaper cake instructions and choose from our selection of undecorated diaper cakes you can customize. 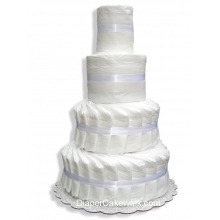 Your baby diaper cake will look exactly the way you'd like. 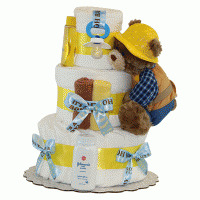 A "Decorating Hints and Tips Sheet" is included free with every plain diaper cake.